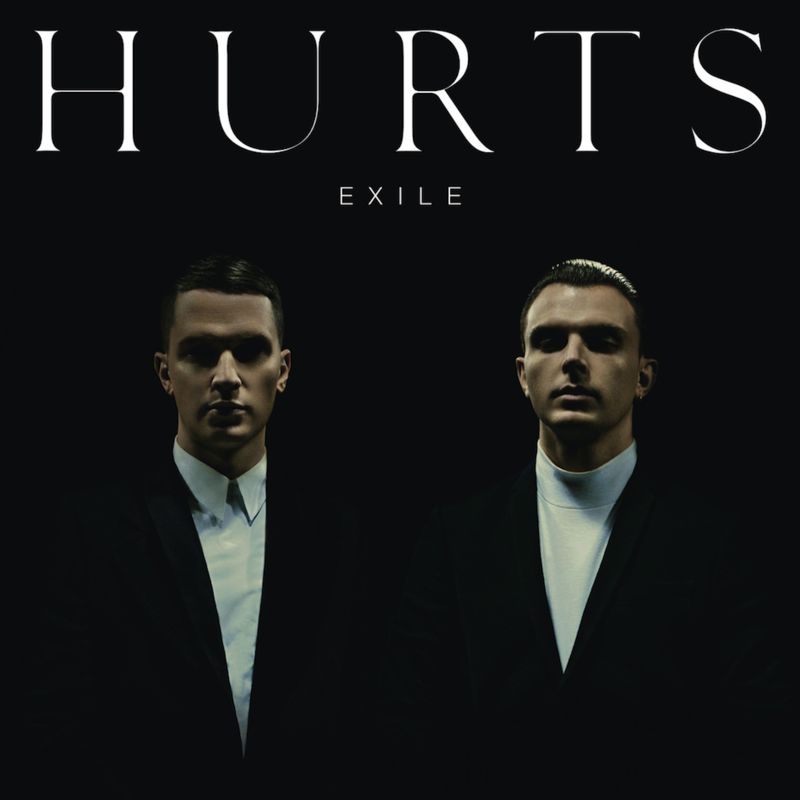 For a band such as Hurts to exist in 2013 is, on the surface, an unfathomable anomaly. In an age where cynicism is the dominant currency, they remain straight-faced; in an era of austerity they fly by a private jet called Hurts Force One. They fashion themselves as the last band to sing about wanting someone to die for before—if the interviews are to be believed—ducking into a cab and chasing the promise of eightsomes in a Kiev hotel (its architecture probably baroque). Such anachronisms are explained by the band’s ‘80s throwback posturing—squint and you can picture the moodboards in Theo Hutchcraft and Adam Anderson’s writing studio: spearpoint collars, ’30s haircuts, wool trenches, supermodel girlfriends, Old World glamor, Europe, Germany, Vienna… Oh, Vienna. Yet the weirdest thing about Hurts is not that they exist in 2013, but that anyone thought that they could conceivably exist at any other time. Where ‘80s pop broke ground, experimenting with equipment whose parameters were still unfixed, Hurts use the best technology label capital can buy to refine. They arrived with debut Happiness in 2010, their GQ ready look and polished sound so practiced it was like they’d stepped straight into their imperial age. It wasn’t just the ‘80s either—the blunt force of singles ”Wonderful Life” or “Stay” traded in boy band key changes, opera singers, Kylie cameos and, yup, choirs. Is that the sound of clinking champagne flutes over the din of the music industry death rattle? Now, two albums in and they’re kicking off their latest with “Miracle”, a song that sounds like late period Coldplay. They’ve unpicked the seams of ‘80s, ‘90s, and ‘00s pop and rebuilt it bigger, better, stronger. Sometimes the references are so overt to be funny: if the slide guitar and knotty industrial scree of “Cupid” doesn’t make you think of “Personal Jesus” you’re doing it wrong—but, this being Hurts, we’re strapped to a 4/4 chrome chassis. Onwards, onwards, into hi-def. Indeed, both Happiness and Exile’s sound design has been tweaked into a dizzying cleanliness, where every tom and snare is programmed as if its final fate was to be an in-store demo disc for Bose. Sure, compared to the blissful sonic contours of their debut, Exile sees Hurts’ sound mussed up a little; there’s grit in the pomade, a layer of designer stubble, an expensive roughness. When “The Crow” grinds into a few moments of dissonance the effect is one of exquisite melodrama; the rusted, driving synths in “The Road” are indebted to Nine Inch Nails, inducing low-level hysteria.The lyrics, once vaguely narrative, have been boiled down to pop music’s ur-language: “mercy”, “cry”, “love”, and “bleed”, because sometimes in pop that’s all you need. Exile is out now through Sony/Major Label. They are playing Electronic Beats Festival in Bratislava on 19 April, 2013. More info here.